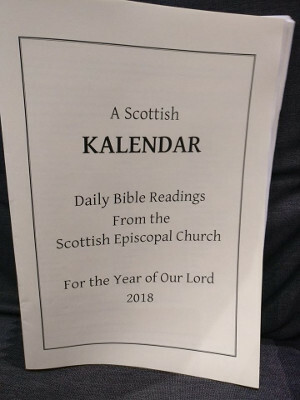 A Scottish Kalendar for 2018 - What is in Kelvin's Head? 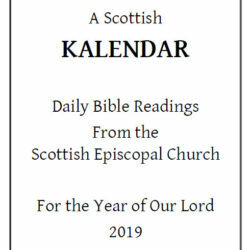 2018 Kalendar of Daily Bible Readings that the Scottish Episcopal Church uses. Also contains list of saints’ days according to how they fall in 2018 and the Bishops’ Advice on Fasting. 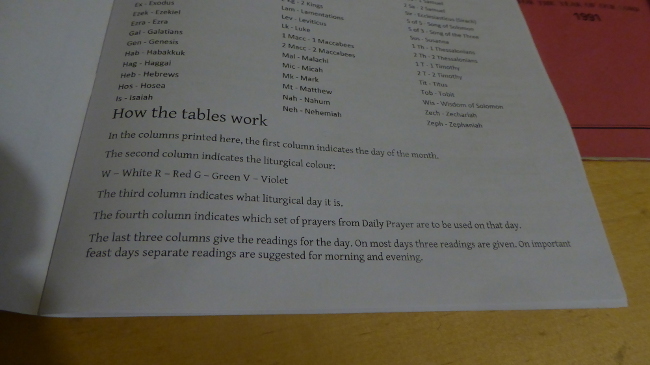 This year includes list of saint’s days that are displaced by other days and which don’t appear. Also includes sunrise and sunset times for Easter.